At this time a year pimping is at it’s best with so many festive treats to choose from. I was therefore a bit surprised to notice that no one had yet pimped a mince pie, a crying shame indeed. To fix this disaster, myself and Duncan bought it upon ourselves to pimp this festive treat as something to do in the Christmas holidays before going back to university. After much in depth research (i.e Google) and taste testing we decided what the ultimate ingredients for a mince pie were. Unfortunately we are broke students so ended up using puff pastry in my freezer and bought some Tesco value mince along with some more puff pastry (just in case we needed more). If you hadn’t already worked it out, the ingredients are as follows. Let the pimping commence. 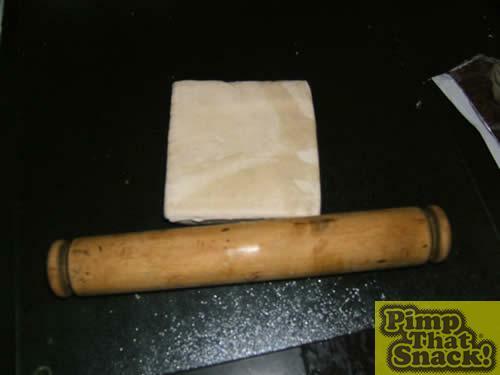 First thing to do was to roll out the pastry using.....a rolling pin, we use the latest technological break throughs in rolling devices as you can see. This is where we ran into our first issue – connecting the pastry together. Our solution was pretty simple and basically involved rolling out all the lumps of pastry and putting them on top of eachother and folding them over before rolling them out again. Important note: don’t forget to leave some pastry over for the top of the mince pie and for any decorations you fancy adding to it. We didnt do this and had to undo all our hard work. Now that the boring rolling has been delt with it is time for the mince pie to take shape. We decided on having our mince pie in an old school style foil container (like Mr Kipling’s) so got a bowl and placed foil all around it, leaving a little lip at the top so the finished mince pie would look professional. Now grease down the foil with butter or lard (if you wish) to stop any sticking in the future. 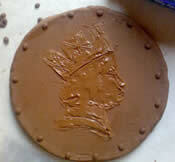 Place the pastry that is going to be the cup shape for the pie in the bowl and create a mince pie shape. Start adding the mince to the base. A spoon may be needed. 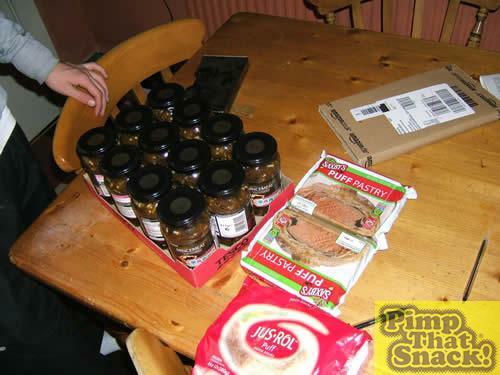 The lid needs to be added to the mince pie now. 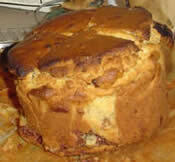 Remember to leave a bit of pastry over for the top? If you didn’t then you are going to have to buy more pastry, good luck trying to find a shop open on Christmas day. 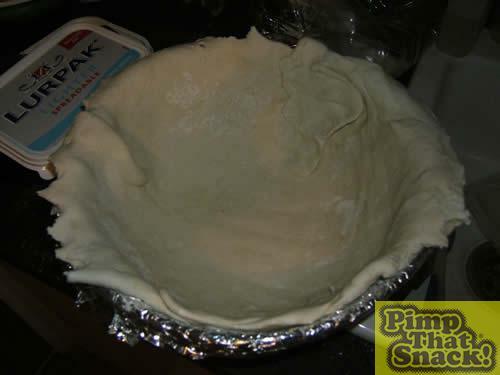 Roll the pastry in a circle shape which is slightly bigger than the bowl, place it on top of the pie and seal. 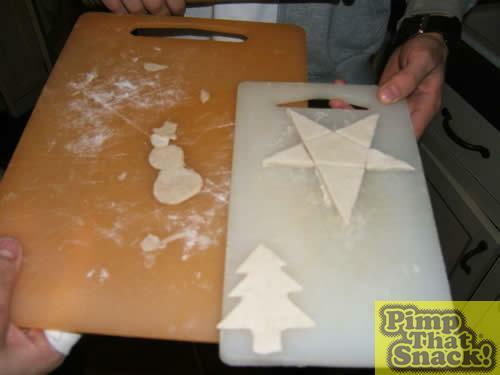 We got a bit bored at this point so decided to cut out some decorations out of pastry to put on top of the mince pie. 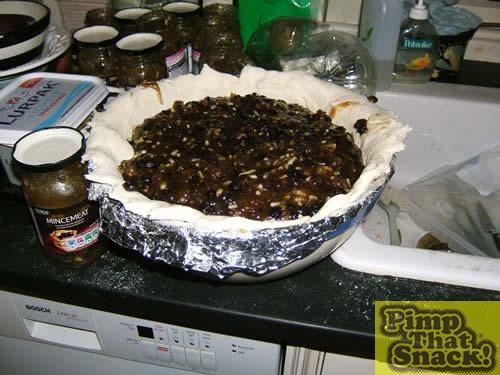 Don’t forget to add a few slits into the top of the pie to allow air to escape so the pie doesn’t blow up or something. Feel free to add sugar or some other sprinkly thing on top of the pie to make it go golden, we added cinamon as it is the festive season.